Fresh attacks by suspected armed herdsmen on innocent people in Logo and Guma Local Government Areas have claimed four lives. 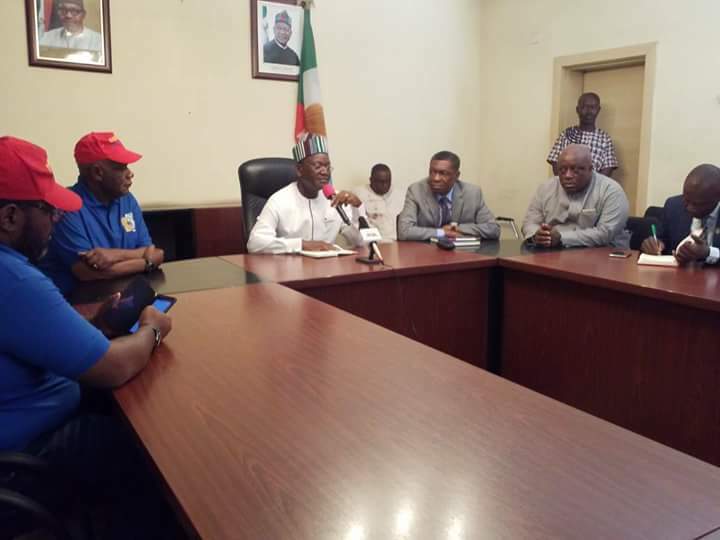 Governor Samuel Ortom disclosed this today at the Benue Peoples House Makurdi when he received former military administrator of the State, retired Brigadier-General Dominic Oneya who led a delegation of his Foundation on a condolence visit to the Governor. He said two women had been reportedly killed in Guma and two persons in Logo, stressing that pockets of killings were still going on and reiterated his call on security agents to arrest the leadership of Miyetti Allah Kautal Hore whom he said are still issuing threats of resisting implementation of the Open Grazing Prohibition and Ranches Establishment Law in the state. The Governor expressed appreciation to General Oneya for identifying with people of the State in their trying moment, stressing that it was a demonstration of a true friend. Governor Ortom stated that crises between herdsmen and farmers had lingered for years without anyone coming up with a bold step to address same, saying the Open Grazing Prohibition and Ranches Establishment Law in Benue was meant to permanently address the challenge. Earlier, retired Brigadier-General Oneya said his mission was to commiserate with the Governor and Benue people over the gruesome murder of 73 persons by herdsmen. He stated that as the last military administrator of the state who handed over to former Governor George Akume, he considers the state as his home and would always identify with it in good and difficult times. While presenting a faze cap and T-shirt bearing the name of the foundation to the Governor, General Oneya said he also brought assorted food items to donate to the displaced persons to alleviate their suffering, even as he prayed God to grant the souls of the victims eternal rest and the bereaved the fortitude to bear the loss.